Architects identify “sustainability” as the most important change in the future of their profession. 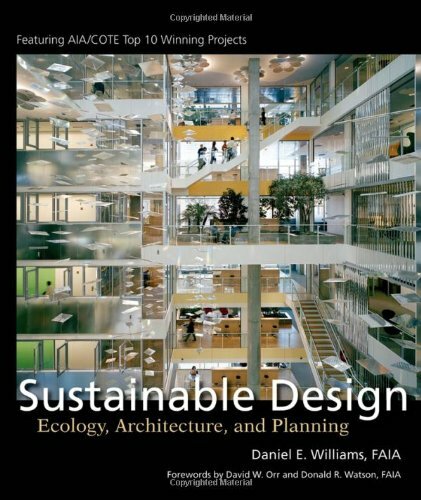 Sustainable Design: Ecology, Architecture, and Planning is a practical, comprehensive guide to design and plan a built environment compatible with the region’s economic, social, and ecological patterns. How do I begin thinking and designing ecologically? 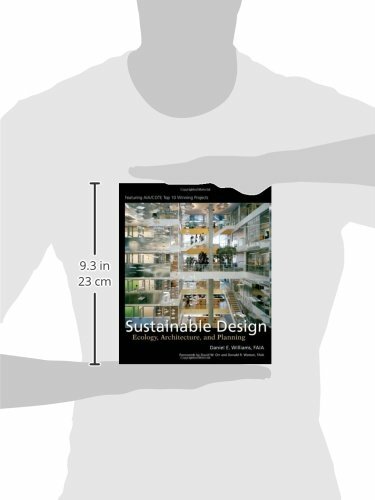 What is the difference between “green design” and “sustainable design”? What are some examples of effective change I can make that will have the most impact for the least cost? Written for architects, planners, landscape architects, engineers, public officials, and change agent professionals, this important resource defines the issues of sustainable design, illustrates conceptual and case studies, and provides support for continued learning in this increasingly central focus of architects’ and urban planners’ work. Williams’s book features winning projects from the first decade of the AIA’s Committee on the Environment (COTE) Top Ten award program.